Well, it's time to keep up the vacation promise made to kids. As you sit down to sketch a kid vacation plan, you will find that there are many things to chalk out, a lot of preparations that go into holidaying with kids. Here is a comprehensive guide to vacation with kids. Gain insight into various aspects such as choosing the vacation destination, travel arrangements to be made, what to pack for toddlers and infants etc. Traveling with infants and toddlers require meticulous pre-planning as well as execution. Enjoy planning your kid vacation; ensure that this vacation with kids turns out to be the most treasured memories for your loved ones. Vacation with kids provides an ideal opportunity for parents to unwind and spend quality time with kids. Traveling, eating, playing, reading, listening, singing, camping, diving, hiking, snorkeling, bathing - there is a plethora of activities for the entire family to do together uninterrupted. Taking a break from the stress and chaos that is almost part of daily routine, quality time spent with kids nourishes love and affection which in turn is a perfect family bonding exercise. Taking efforts to plan well ahead guarantees a well-earned and happy vacation with kids. Kick-start vacation with kids by discussing likes and preferences. Check what they would like to do or where they would like to visit, if they prefer to travel near or far. Fix a writing board and encourage a kid to take the responsibility of jotting down preferences of each family member. Remember to involve kids at every step. Allow them to play a role in shaping the entire vacation. This will make kids feel responsible. Suggest various vacation option plans. Guide them to use the library or to undertake an Internet search to compile list of probable vacation destinations. Discuss vacation duration. Give them a time frame. Preference to vacation destination is often linked to age and gender. 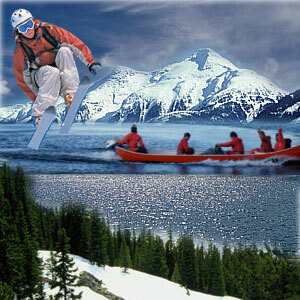 Vacation destination that offers adventure, thrill and excitement is most likely to be voted by boys. Girls may prefer a combination of fun, shopping, pampering and adventure. Perhaps, you can work up a list and show to kids. Give them time to ponder over it. There are many family vacation packages with kids. These are some most popular vacation with kids' destination. 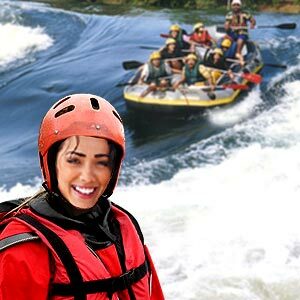 Amusement Parks, Theme parks, Children's museums and Zoo, National Parks, Tropical island, Beach Vacation, Farm Vacation, Ski resorts, Cruise ship vacation, International destinations, Hill Stations, Educational destinations, Cultural experience destination, Historical sites etc. It is time to plan for travel. Crossing over borders or traveling outside country of residence require passports, visa and other identification documents. Irrespective of age, if you are traveling with infants or toddlers, make arrangements to get passports and visa. Depending on the distance, find the most appropriate mode of travel. You may consider a road trip, by air or sea. At every step, bear in mind this is a vacation with kids. Ultimately, the kids need to feel absolutely comfortable. If you decide to take the road, plan in advance how to keep the kids engaged. With toddlers and infants, make allowance for frequent stops. 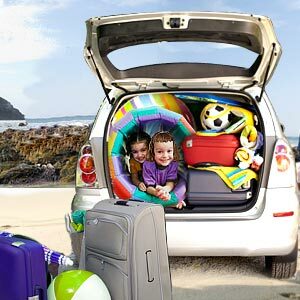 Provide for extra time at every juncture if you are traveling with toddlers or infants. While making travel arrangements, remember to provide for comfortable travel time to reach the airport or board the ship. If you have opted to fly, look for a short-trip or book a non-stop flight. If unavoidable, prepare the kids and explain what is to expect while changing flights. If you would be crossing over to a different time zone, the sleep pattern of infants or toddlers is likely to get affected. 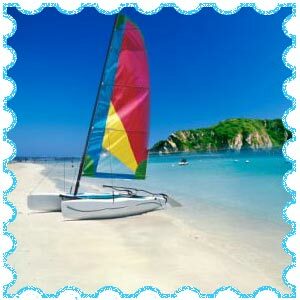 In case of a cruise ship vacation, check out the amenities provided, the food as well on board activities for kids. Vacationing involves traveling, lodging, exploring as well as adjusting to a different weather condition. How much you can carry depends on the mode of transport. However, travel-packing requirements for infants and toddlers are very different. Few days ahead of travel, make a list of things required for the toddler, infant and kids. Have your kids start thinking of what they will need. Sensitize kids to packing space availability as well as checked baggage restrictions imposed by airline companies. If they can write, let them make a list, make an older kid in-charge. Consider expected weather conditions and the various activities the kids are likely to try. The list should ideally include outfits, accessories, and toiletries, baby foods for the toddler or infant, snacks for kids, medicines, first aid kit supplies, some general items, playthings, optical equipment items, electronic equipment items etc. Most of the airlines allow only one carry-on baggage per person. Here is a quick packing checklist you can refer to. Prescription medications, over the counter medicines, suntan lotion, sunscreen lotion, Aspirin, medicine for the infant or toddler, child-based sun block for toddlers and infants, first aid kits, diaper rash ointment for the toddler or infant. Toothbrush, toothpaste, baby shampoo, deodorant, baby soap, doorstop alarm, travel potty, if the adventurous toddler decides to wander about while in a hotel room, laundry kit, toilet set comes handy for an impromptu toddler toiler trip, which consists of a seat cover, tissue and towels, sun hats, bibs, teether, plenty of baggies to store dirty clothes, diapers, clean outfits etc, bottles and sippy cups, spill proof snack cups, bottle brush and dish soap, insect repellant, bottle or pacifier for the air travel descent. Depending on the number of days of travel, pack sufficient jars of baby food and a spoon, bottles for formula feed and water or juice. Besides, carry finger foods, fish crackers and some ready-to eat fruits. Quick eats for the slightly elder lot should include chips, pretzels, dry cereal and fruit snacks. Pack plenty of fruit juice bottles absolutely essential for road travel. Keeping toddlers who are most eager to run around and infants entertained and occupied throughout travel time is often a challenge. Bring along favorite toys, rattles of bright colors, music-makers, favorite blanket, and picture book. Toddlers may like to paint. Carry along painting books, activity books and pop-up books. Kids between 8-12 years may prefer to listen to favorite music in the Walkman, read comic books, use a portable DVD player, read short stories, play puzzles or play handheld video games. With regard to cruise lines, most of them offer excellent age-appropriate programs for kids. Count the number of days you would be traveling. Consider the various kids activities, the expected weather condition. Pack an outfit for each day as well as kid activity clothes. It is a good idea to pack clothes that you may not mind leaving behind. Carry extra innerwear, socks, sweaters or jackets. Would your kid prefer to walk with shoes or sandals? Let the kid wear the heaviest shoe and just take comfortable walking shoes in case of a need to walk long distances, hiking boots, beach shoes or water shoes etc. Select dark colored clothes, as it will not show marks and wrinkles so much. Check if kids stay and breakfast is free and whether the hotel offers kid-friendly program and a special kid's menu. Check if the room has a balcony or a patio, always keep them locked. Choose airlines, restaurants and hotels that offer special discounts for kids. Carry recent photographs of kids, it helps to locate toddlers, infants and kids if they get lost. Keep a visiting card with your name and contact details in kid's pockets. Take all precautionary measures to make the vacation safe. Be prepared to handle any emergency situation. Before leaving the house, let the kids know the do's and don'ts, what is and isn't an acceptable behavior. Fights between siblings, complaints and awkward situations are common while traveling with kids. Be patient, never retaliate and show irritation to the kids. Feel relaxed and put bring out the humorous person in you. Realize this is a vacation with kids and their enjoyment and comfort provides ultimate satisfaction to you. Happy planning a vacation with kids. First Published Date: 16 Jul 2008 Last modified Date: April 25 2019 This page may have been updated recently as new information is available or the content may have been edited for better readability.